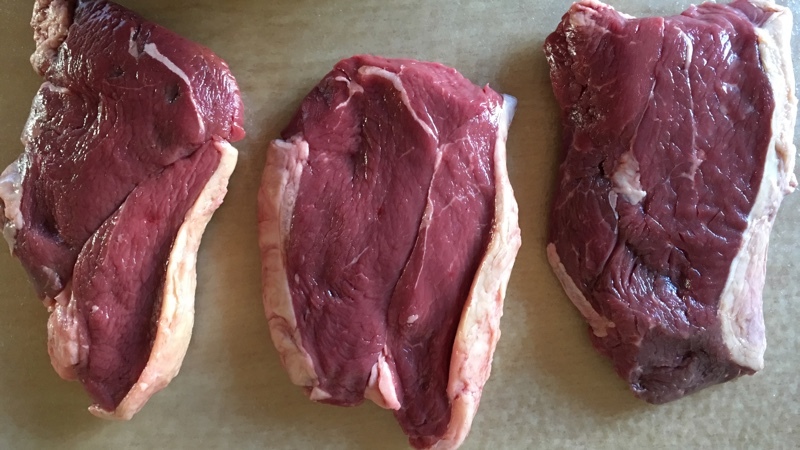 Fancy a nice steak for tea? We love steaks; we love talking about them, but we love cooking and eating them even more. We have rump, sirloin, fillet, t-bone, rib-eye, you name it. Come and talk to us if you want a specific cut or just want to know more about steaks in general. For best results, use a heavy pan, such as a griddle. The ones with ridges are best as you get that lovely streaked barbeque looking finish. Don’t put a steak in the pan that’s straight from the fridge. Oil the steak, not the pan. Season the steak before putting it in the pan (if you want seasoning of course). Make sure the pan is nice and hot before putting the steak in. Not too hot though as it’ll burn as soon as you drop it in! Don’t poke it and don’t flip it more than once. Don’t press down on it when it’s in the pan. Let it rest a bit before serving. If you like it medium-rare, cook for 2 to 3 mins on either side. If you like it well-done, give it 4 mins plus on either side. These are, of course, general guidelines but work well for most people. We’re not keen on email, we never seem to get time to read it. So, why not call us? A bit of Easter lamb? 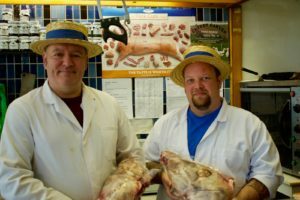 We also provide our meat to local business such as restaurants, pubs and take aways.